Why can't I import orders with the Quickbooks Web Connector Plugin? 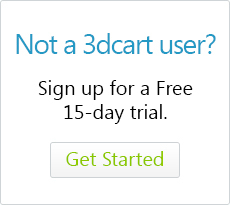 Merchant is using the 3dcart Quickbooks Web Connector plugin, but it is not importing orders or customer data. In the 3dcart Quickbooks Web Connector export settings, the Order prefix must match invoice prefix EXACTLY. If you are using the 3dcart Quickbooks Web Connector plugin, there is a setting in the module's export settings section where you can list the order prefix that the exported orders will contain. This prefix must match your store's invoice prefix exactly. To learn how to set and check your store's invoice prefix, please click here.